December 31, 2011: While participating in an end-of-the-year tradition with my wife where we reflect on the year and make goals for the new one she asked me, “what are your focuses for 2012?” I said and wrote down a few good ones including, “top ten at Western States 100-miler”. 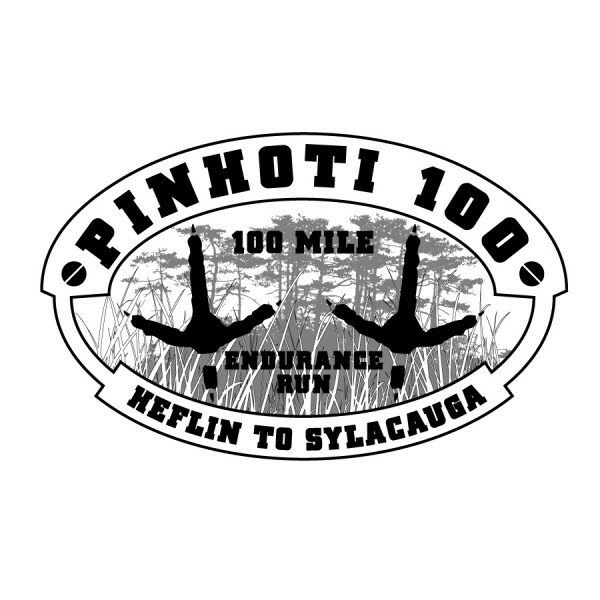 November 3, 2012: Flew to Alabama to race Pinhoti 100-miler as a last-ditch effort to run my way into Western States. As planned I ran in 3rd place from start to finish to finally get my ticket punched for the 2013 Western States 100! Yeah! Race report HERE. 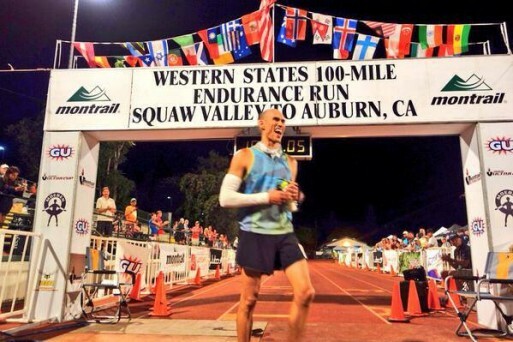 June 29, 2013: It was the 40th anniversary of the Western States 100-miler and our buddy Craig Thornley’s first year at the helm and it was predicted to be a hot one! I had been racing a lot in the winter and spring but felt healthy, super-fit, rested, and mentally ready for the classic point-to-point run from Olympic Village near Lake Tahoe to the Placer High School track in Auburn, CA. Even though I got a mention on Irunfar.com as a contender I think most people didn’t believe I was a threat for top ten based on my recent racing leading up to Western. Even Karl Meltzer put me in the “rookie 100-miler” category and thought that I would start out too quickly and fade in the last 30 miles of the race. Actually, this left me sitting in a pretty good position with not a lot of pressure or limelight on me to perform…and made it all the sweeter when I headed out to the mountains to stomp. As usual, the cast of characters was so deep! Some of the best runners from around the country paced around the start line at 4:50 a.m. on race day some exchanging handshakes, smiles, and good lucks….some calm and fierce looking with their game faces on. 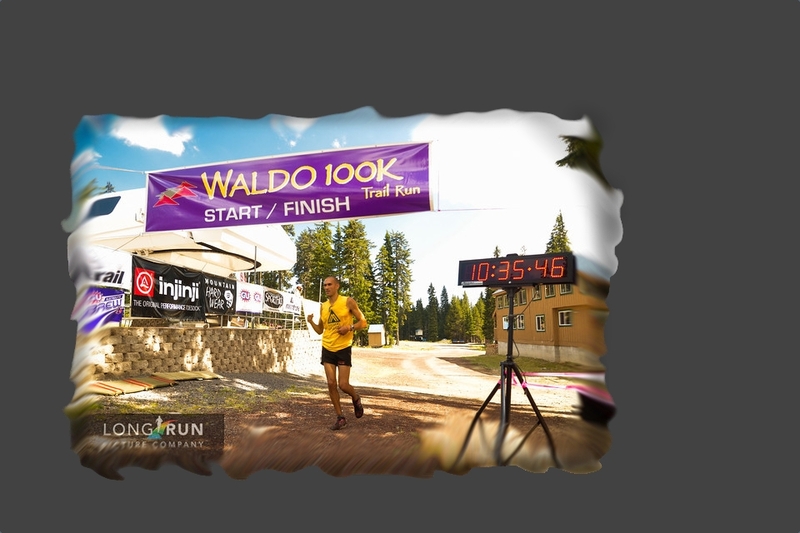 The gun went off and the 40th running of Western States 100 was underway! We downshifted and chugged up the ski resort to a beautiful sunrise overlooking Lake Tahoe and the surrounding area…a view I did not get last year. I definitely made sure to be conservative in these early miles and hiked good portions of the climb. Once we crested the mountain I got into some good running sections and passed several runners but was probably still in like 15th place. Running through the high country was so beautiful and the temperature was ideal. After a few hours, I clipped off a few more runners as the heat started to rise. I was able to link up with my buddies Joe Uhan and Jacob Rydman and the three of us ran together for a bit which was cool. Before long some short guy came up behind us. It just happened to be Ultra Runner of the Year Mike Morton! He was so chill and we chatted and ran together for a couple miles. Morton, Uhan, and I started pushing the pace a little and I realized after a mile or two that it was a little too quick for me so I backed off. I showed up to Duncan Canyon (mile 23.8) solo in 12th place. After Duncan Canyon aid station I started feeling a little “crampy” and, again, I backed off the pace a little as Jeremy Humphrey passed. Just before the Robinson Flat aid station, I linked back up with Jacob Rydman who I knew was gunning for a smart, controlled top ten finish. Jake and I rolled into Robinson Flat together in 4 hours 51 minutes (about 5 minutes slower than last year) which I felt was a good place to be. I found my crew and Willie, Brian, Jennifer, Nick, Amy, and Keith stocked me back up, encouraged me, & got me in and out quickly. Jacob left about 30 seconds before me but I was able to catch up to him as we prepared to drop into the canyons and face some of the hottest parts of the race. 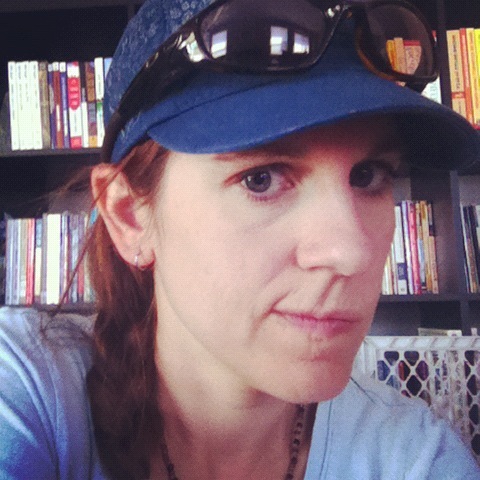 My mindset was really good and I kept telling myself, “calm, cool, quick”, as the miles clicked by. Jake and I were very content with where we were and at one point Jacob said, “If I were coaching someone this is exactly how I would tell them to be running this race”. I agreed and I felt good and confident about our patience and steadiness. After a few miles I could tell that Jake was falling off the back a little so I continued onward by myself. I ran by myself into the “convection oven” and Swinging Bridge and approached the toughest climb of the day; “Devil’s Thumb”. Just before my ascent, I came across Jeremy Humphrey who was cooling off in a stream and dealing with some stomach issues. I tackled the steep climb hiking nearly the entire time. After about 30 minutes (& finding some makeshift hiking poles as a joke for some photographers!) I looked down to see someone gaining on me. To this day I have never seen anyone hike faster than the Speedgoat himself, Karl Meltzer. Wow! I still beat him to the top but he passed me shortly after the aid station. I was surprised to see the leader Cameron Clayton at the top of this climb sitting against a tree. The carnage was already beginning and we weren’t even halfway done yet! On to Foresthill (mile 62) where most people say, “this is where the race begins”. 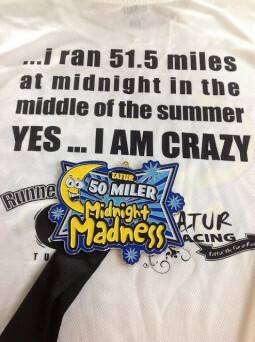 I know this sounds ridiculous…how can a race start after you’ve already ran 62 miles through the mountains and heat!? I arrived in 11 hours 5 minutes and was excited to pick up my pacer/good buddy/business partner Willie McBride. Brian cooled me down again and gave me another quick leg massage, re-stocked me and sent us on our way. I saw a lot of friends through this section including Mike Davis, and Desiree Marek, and I appreciated all the cheers. Pam Smith’s husband Mac saw me and while giving me a high five said, “Pam’s right on your tail”. I know Mac and his sense of humor and I honestly thought he was joking. At the next aid station, I found out that he was serious! She was 3 minutes back and that lit a fire under my behind. Willie and I played “cat and mouse” with Pam and her pacer basically from Foresthill to the river at mile 78. Willie was awesome, again (he paced me from the river to the finish in 2012), and reminded me to just not worry about everything and to run my race…staying loose, shaking my arms out, and staying cool. Although every time Pam got really close (like 10 seconds behind) I would push the downhills, get into race mode, and open up a gap. Then she would tenaciously fight her way back on the flats and uphills where I was having less success. It was crazy! She was determined and eventually, she got me just before Rucky Chucky. I am friends with Pam and I was so happy that she was just absolutely killing it. It’s something that I know we both will never forget. A fringe benefit of Pam and I duking it out was us reeling in other runners who were falling apart. The first person was Jorge Maravilla and I think this is the first and only time I have ever seen him not smiling. He gave me some soft-spoken encouragement as I passed, and then a few minutes later it was Hal Koerner! High fives were passed from my (hurting) fellow Oregonian buddy and this excited me as I moved toward the river crossing. Once we left the aid station it was revealed to me that Humphrey took an IV bag which disqualifies him and that Joe Uhan dropped out. As I was submerging in the American River I was sitting in 10th male and 11th overall! Sitting pretty! I was really starting to feel the fatigue and heat and I hiked most of the Green Gate climb. I picked up my good buddy Brian Donnelly and we were prepared to lace this final section of the race. At one point I thought I heard some cheering down by the river which meant that I had about 10 minutes on whoever was crossing. I got spooked a little and had visions of again being passed at the end, but this time knocking me out of 10th! Brian did such an excellent job of encouraging me to keep that cushion even if I was hiking, and to not let that negative chatter enter my mind. We were on a mission. Then all of the sudden while swallowing an S-cap I got it lodged in my throat and it triggered my gag reflex causing me to vomit several times. I lost a lot of fluid but quickly replenished with a Clif shot blok, and more water and electrolytes. I feared that I was falling apart but, with the help of Brian, threw in some good running sections as difficult as it was at that point in the race. At the mile 85 aid station I quickly got through but before we got there I asked Brian to find out who was behind me and how far back. He told me 10 minutes back and we scurried through the trails heading for my Ashland, Oregon buddies who were manning the Brown’s Bar aid station at mile 90. This section I really just said, “screw it!”, and dropped the hammer. Brian gave me props continually through this section reinforcing my power surge. At mile 90 I was again (like last year) greeted by Rob Cain and saw friends Bethany and Joe from Ashland. They fired me up with the loud music, cheers, food, and caffeine and also revealed to me that Karl Meltzer was not far ahead (18 minutes) and he was not looking good. At this point, something shifted. Instead of being hunted from behind I became the hunter of the person ahead of us. Brian and I got out of there and headed toward Highway 49 at mile 93.5. I absolutely hammered parts of this section and was really digging deep mustering whatever I could. At the crossing of the Highway 49 I was now 13 minutes back of Karl and apparently he was fading. The “hammer-fest” continued all the way to “No Hands Bridge” at mile 96.8. This section I ferociously killed and it felt so good to be closing hard and running so well 95 miles into a race. When I rolled in it was awesome with the bridge all lit up with Christmas lights and as I was leaving someone said, “Speedgoat Karl left less than a minute ago!” I said to Brian, “we got him”, as we kept surging toward Robie Point. After a few minutes I saw a head lamp ahead. I reeled him in, blew past him, and offered a friendly encouragement to him as we continued to hammer. I was now 9th male and we “smelled the barn” powering up to Robie Point, through the neighborhoods, while getting cheers from locals. Just before the stadium Willie came out to greet us and congratulate us and I knew I had my top ten goal in the bag. Hell yeah! Finally, congratulations to Craig Thornley on the first year as race director (it was fun seeing you at a bunch of different aid stations! )- You did an excellent job and I can’t think of a better person at the helm. Much gratitude and huge thanks to all the volunteers and people associated with this great event. 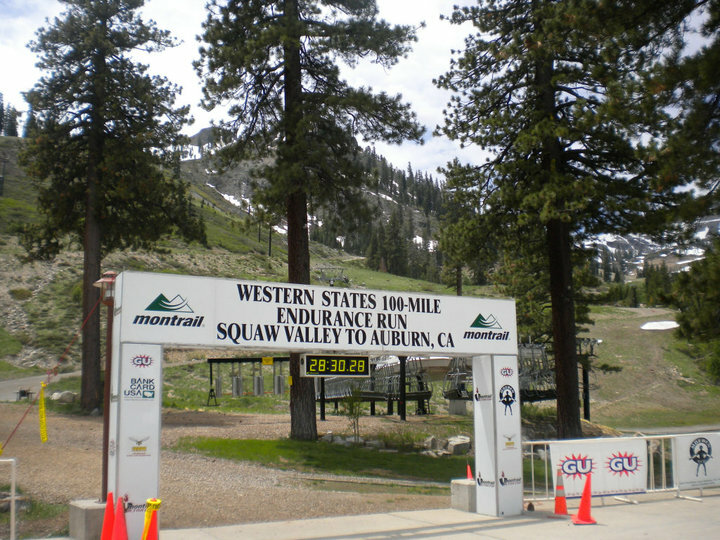 Western States 100 is definitely in my blood and now that I am in the top ten means I’ll see you there in 2014! Well done to all that finished or even attempted this run! Full results are HERE. Now I have run the 2nd coldest year in history (2012) and this year was the 2nd hottest year in 40 years…I guess I’m prepared for next! See you there! Sweet run Yassine. You pulled it all together with laser precision. A hard-earned performance from one of ultrarunning’s best people. I am glad to know you, Yassine. Such an inspiring story or perseverance! Thanks for sharing Yassine!! Congrats on your solid all-out effort and your top 10 finish! I knew you would do it man! After watching you race Clarkey and I on Ometepe I knew you were ready for the top ten :)… Keep running strong !